Wearable technology is becoming more commonplace in our world nowadays, what with the ever-expanding presence of Fitbits at the gym and the more niche VR headsets you can now use to play games. 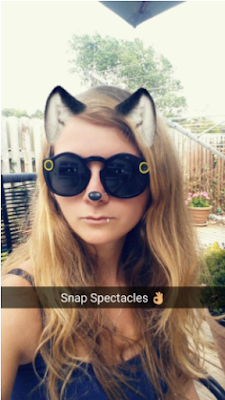 Snap (the company that created the app Snapchat) are the latest to join in with the movement, bringing us Snap Spectacles – tech glasses reminiscent of the now discontinued Google Glass that allow the wearer to take snaps straight from their eyes that automatically upload to their Snapchat Story. 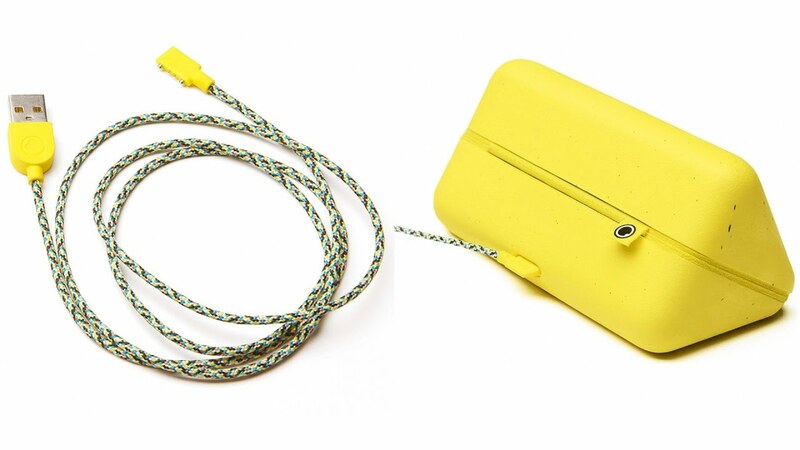 Snap Spectacles in black featured in their charging case with USB cable – not the sort of glasses case that you’ll lose easily! The Spectacles come in a pretty cool case – it’s bright yellow, sturdy, and offers an interesting way to charge them. You simply put your glasses on and off you go. Remember to remove the thin plastic sticker from the charging port before attempting this, or you may end up confused as to why your glasses aren’t working (totally not something that happened to me… honest). Once you have worked that bit out though, the glasses show that they’re charging by lighting up on one side, and you can have the case open or closed while they charge. A full charge takes about 90 minutes (the case will hold up to four full charges before it needs to be replaced), and will give you about 100 Snaps… It sounds a lot, but it’s not as much as you’d hope for considering each Snap is only 10 seconds long. Much better-looking than I’d thought, and easy to pull off as real sunglasses. As for the design, these glasses actually look pretty awesome. They’re designed to be sunglasses as well as a camera, featuring UV protection and rubber nose pads to prevent those annoying dents you get in your face from some glasses. They’re light and comfy to wear, and are the closest to actual glasses that we’ve had in technology so far. They also come in three colours – black, teal, or coral – so you can be as vibrant as you’d like. The camera is located on the right-hand side of the glasses, with the recording button on the left. A simple double-tap to the side will show you how much charge you have left, and the lights will stay on when you’re recording to make other people aware. This is a good idea, although this also depends on other people understanding that they are recording specs in the first place – I spoke to a lot of different people and not one had actually heard of them before. It brings the whole privacy debate into focus again, but at least Snap are trying to prevent the ‘creepy stalker filming people unawares’ scenario that could so easily happen with this type of technology. To use the Spectacles you just need to press the button once to film a 10 second Snap. This can be extended up to 30 seconds long by pressing the button again before the end. 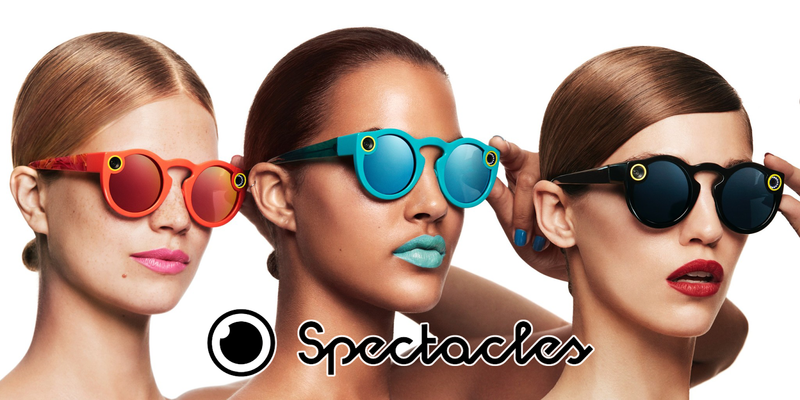 Each time a Snap is recorded it is stored on the Spectacles and uploaded onto the app, either by WiFi for iPhones or Bluetooth for Android. Using WiFi deletes the battery more quickly, and so it’s advisable to take the charging case with you if you’re going to be using them a lot. You don’t need to upload them there and then though – you can also sync up your Snaps later on through the app. The Snaps are easy to access via the Snapchat app and allow you to browse through and edit them as you please. Once the Snaps are on your app they’ll be added to your Story, and you can add the usual emojis and text as you see fit. They can also be deleted if they didn’t turn out so well (such as a whole minute of recording I did that had my hair over the camera – long-haired users beware! ), but remember to delete them off the Spectacle storage as well if you’re planning on handing them over to anyone else. The photo quality isn’t too bad considering that they’re glasses, with a 115 degree field of view to mimic the human eye. It’s similar to a fisheye lens and is best viewed in the app. Videos become grainy in low light but do the job when filmed during the day. While they won’t capture stunning visuals they will get across your everyday videos, which is what Snapchat really focuses on as an app anyway. They also remove that handheld shakiness you often get when filming, and a proper view from what you’re seeing, rather than your phone. As a gimmick the glasses are pretty cool, but at the price point I’m assuming they’re supposed to be seen as more than that. They’re fun to use and also incredibly simple, but I felt that they needed more control – sure, you can take videos, but in the future it’d be great to have the uploading and the editing side as a feature of the wearable product. If you’re a big Snapchat user and you’re into filming every day moments then these may add something to brighten up your life, but if you’re looking for wearable tech that is more suited to events and ‘wow’ moments then I’d invest your money into something that has more features and better quality. CeX at Dublin Comic Con!!! CeX is on the Radar! The TechRadar!